December is here, and that means all those annual open enrollment decisions are finally behind you. Now, there’s nothing left to do but relax and enjoy the holidays, right? Not quite. Before you ring in the New Year, you have one more financial issue to handle: Spending up the funds in your flexible savings account before they expire. If you use CPAP equipment, that means it can be a great time to upgrade your unit, buy a backup unit, or increase your inventory of hoses, masks or other accessories before December 31 when most benefit year’s end – and all those FSA funds disappear into thin air. 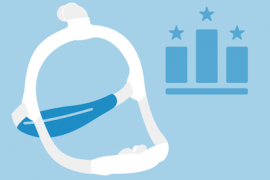 Here’s what you should know about CPAP FSA eligible expenditures so you can get the most out of your hard-earned savings. FSA stands for flexible savings account, a benefit offered by employers to help their workers afford the cost of healthcare expenses not covered by insurance. An FSA lets you use pre-tax dollars to pay for eligible medical expenses for you and anyone else covered under your plan (most often your spouse and eligible dependents). Suppose 25 cents of every dollar you earn is taken out for taxes. That leaves you with 75 cents to spend on items like healthcare costs. But because an FSA uses pre-tax dollars, you’ll have access to the entire dollar when you use those funds to pay for eligible medical expenses. That’s like saving $25 on every $100 you spend on eligible medical expenses, including prescriptions, copays, and medical equipment and supplies. If you enroll in an FSA at your place of work, every pay period a set amount (an amount you determine) is taken out of your paycheck right from the start before any taxes are deducted. Then that money is placed in a special savings account that you access through your benefits plan administrator. Enrolling in an FSA is optional. Each year, you decide if you want to enroll and, if you do, how much money you want to have set aside into your savings account. Your employer may set a maximum contribution or you may be allowed to contribute up to $2,700 over the course of the year, the 2019 maximum set by the IRS (the IRS FSA maximum for 2018 was $2,650). In most cases, you’ll need to enroll in your company’s FSA at the same time you do your open enrollment for medical insurance. What is the difference between FSA and HSA? Plenty of people confuse the term HSA with FSA, but the two programs are very different. HSA stands for health savings account, and it’s an option that’s typically only available to people who have high-deductible medical insurance. The HSA allows employees to set aside a certain amount of money to pay for eligible expenses, just like an FSA. 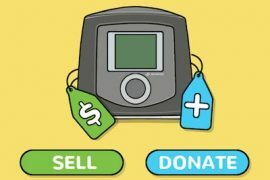 But there is one key difference between the funds that are set aside: HSA funds are fully “owned” by the employee, which means there’s no “expiration date” on when the funds must be used. Again, an HSA is only available to you if you opt for a medical insurance plan with a high deductible, which means you could end up paying a lot more out of pocket for medical expenses. HSAs are especially popular among younger employees without chronic conditions. Not every company offers HSAs. No; unlike an HSA which allows you to roll over any unused money from one year to the next, funds in an FSA expire if they’re not used by a specific date. Most employer plans require employees to spend their FSA funds by December 31. Some employers may opt to extend the date to March 15, and a few may allow employees to roll over up to $500 of unused funds into the next year’s plan. If you have an FSA, it’s very important to know which of these situations apply to you. In most cases, you’ll need to spend your FSA funds before December 31 in order to avoid losing all or at least part of your funds (if your employer allows a partial rollover). Any money leftover in your FSA goes to your employer. What can I spend my FSA on? FSA funds can be spent on all sorts of medical and health-related expenses, including doctor office copays, dental and vision costs, personal healthcare products like sunscreen or acne therapy systems, dentures, hearing aids and their batteries, birth control pills and other prescription drugs, and medical equipment like blood pressure monitors and breast pumps. Plenty of over-the-counter products like eye drops, compression socks, and even first aid kits also qualify. You can find a complete list of eligible medical expenses at the IRS website. Depending on how your plan works, your FSA funds may be accessible via a special debit card or you may need to submit receipts and be reimbursed through your employer. Your benefits plan administrator will be able to tell you how you can be reimbursed for your eligible expenses. Is CPAP covered by FSA? CPAP devices and accessories are used to treat Sleep Apnea, a diagnosed medical condition. In fact, CPAP is one of the most effective treatments for Sleep Apnea, helping men and women who have Apnea decrease their risks for serious medical problems like heart attack, stroke, and obesity. Nighttime breathing problems can also impair your overall quality of sleep, leading to moodiness, irritability, problems focusing and even depression. Plus, daytime drowsiness significantly increases your risk for accidents at work and on the road. CPAP is a continuous therapy, which means you need to use it all the time to reap the benefits of treatment. 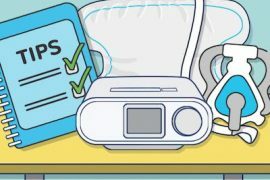 By providing a continuous flow of air while you sleep, your CPAP (or BiPAP) device prevents your airway from collapsing. Because CPAP is a recognized and effective treatment for Sleep Apnea, your expenses associated with CPAP therapy are eligible for reimbursement using your FSA funds. And that means when you use your pre-tax FSA funds to pay for your CPAP equipment, you can save a considerable amount of money compared to paying for those expenses with post-tax dollars from your regular checking account. Are CPAP Supplies eligible for FSA? 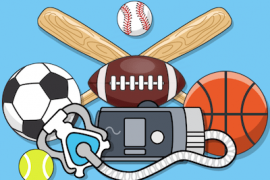 Just as your CPAP machine is necessary for delivering CPAP therapy to treat your Sleep Apnea, your accessories – masks, hoses, filters, and other accessories – are also a necessary part of delivering that therapy. That means all the accessories associated with CPAP are also eligible for FSA reimbursement. Is a CPAP cleaner covered by FSA? CPAP cleaner FSA eligibility is also covered by current expenditure guidelines. That’s because a CPAP cleaner is considered necessary for maintaining your CPAP device, helping ensure it works properly so you get the intended benefits of your therapy. Regular cleaning also helps extend the life of your CPAP machine and accessories and prevents the buildup of disease-causing bacteria in the machine, filters, hoses and mask. End-of-year financial decisions are always stressful, especially considering they come on the heels of open enrollment and right in the middle of the holidays. This year, instead of seeing FSA mandatory, “use-it-or-lose-it” requirements as a burden to put up with, consider your year-end expenditures an opportunity to upgrade your equipment and improve your inventory so you can continue to enjoy the benefits of your CPAP or BiPAP therapy without worrying about equipment malfunction or worn-out accessories. Treat yourself to a new mask, a CPAP device cleaner or a humidifying element to make your therapy comfortable and convenient, or invest in a backup system so you can have the peace of mind that comes from knowing you’re prepared for whatever comes your way. At CPAP.com, we help men and women get the most value for their FSA dollars by providing them with the guidance and information they need to make the best purchases based on their individual needs. To learn how to use your FSA funds to upgrade your CPAP equipment before those funds expire, give us a call at 1-800-356-5221 and speak with a team member today.